As Chris Couch, comics professor at UMass, likes to say, the Comics Code “lobotomized” the comics industry. You weren’t allowed to show sexual violence, you weren’t allowed to show disrespect of women or police or other government representatives. I imagine that corrupting such a figure as Lewis Carroll, beloved children’s author, was similarly frowned upon. 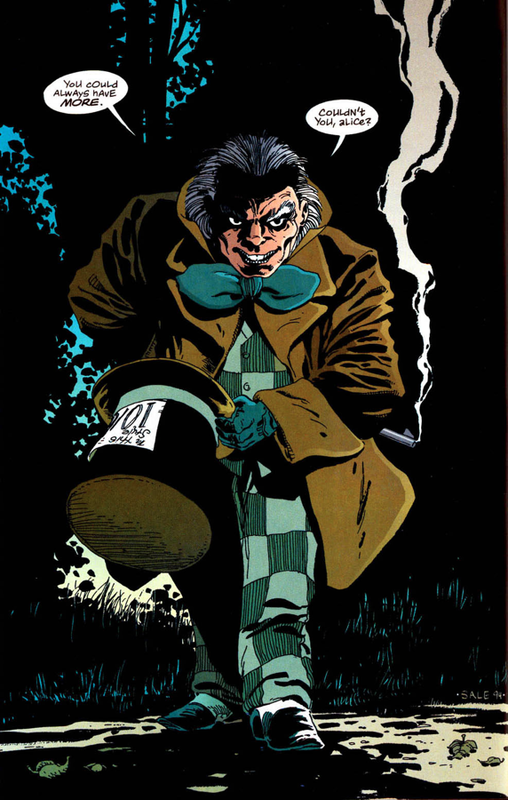 But by 1986, pretty much no one was actually paying attention to the CCA, making the Hatter free for corruption and “dark” interpretations by the time Grant Morrison decided to do the weirdest Batman book ever. Kleege, Georgina. “Memory Works Both Ways.” Southwest Review. 167-200. PDF. Loeb, Jeph (w), and Tim Sale (a). Batman: Haunted Knight. New York: DC Comics, 1996. Print. 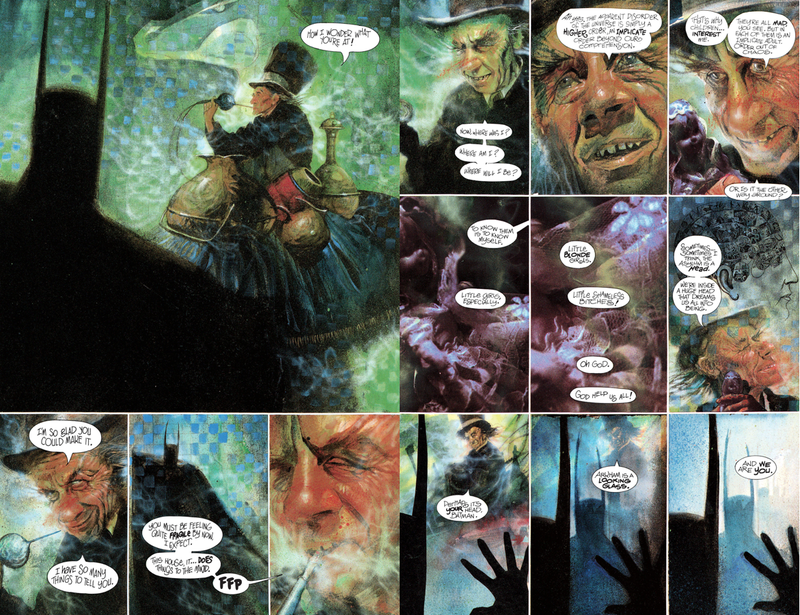 Morrison, Grant (w), Dave McKean (a), and Gaspar Saladino (l). Arkham Asylum: A Serious House on Serious Earth, 15th Anniversary Edition. Ed. Karen Berger, Art Young. 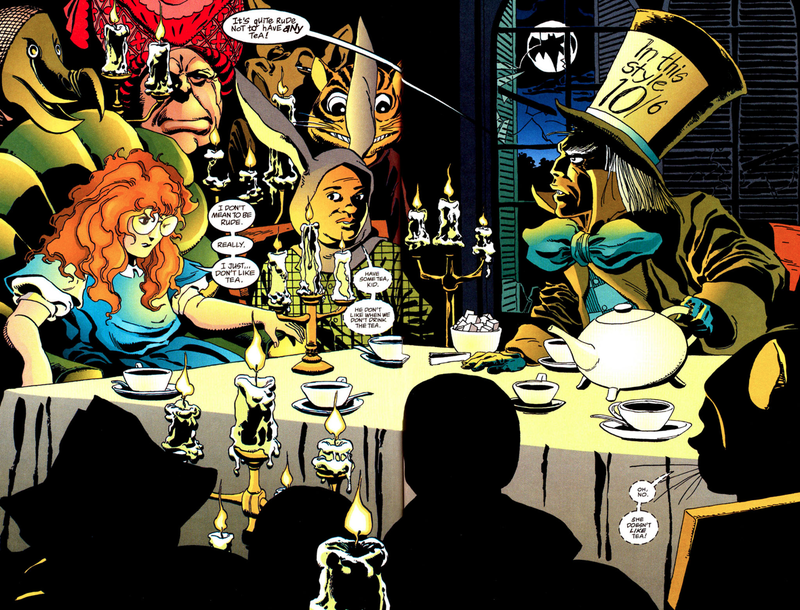 New York: DC Comics, 1989, 2004. Print. Rucka, Greg (w), J.H. Williams (a), et al. Batwoman: Elegy. Ed. Michael Siglain. New York: DC Comics, 2009, 2010. Print.